Less furniture. More statement. You don’t want much, but you do want the best? Then Brick is just your thing. 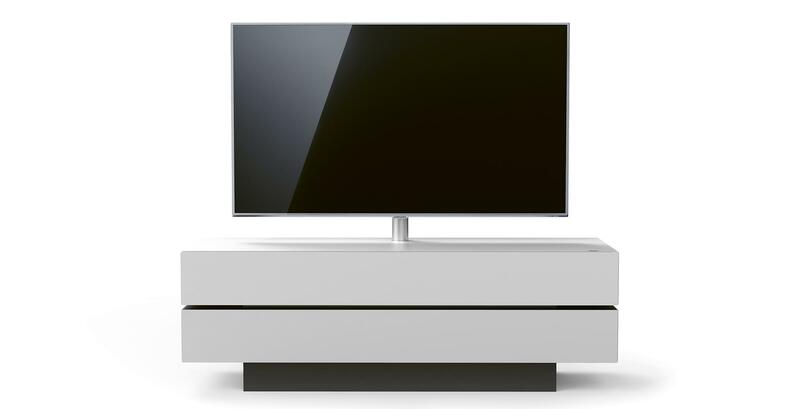 It’s the world’s first TV unit to have the sound system in the plinth. It is home cinema entertainment at its best, and at its most minimalistic. No speakers or cables in sight – or under your feet. 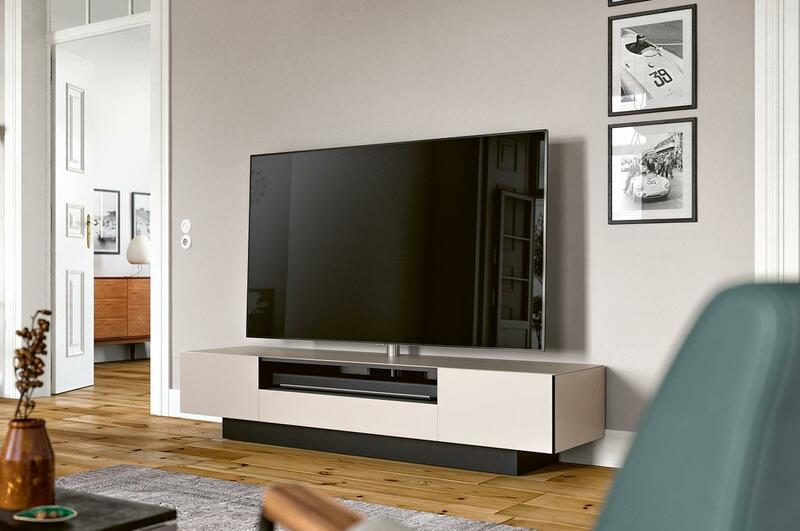 And your audio and video equipment will do an elegant disappearing act – in the ample storage space behind matte satin or glossy glass. Declutter your living room. With Brick. You don’t want much, but you do want the best? Clean lines, glass on all sides, no handles in sight: Brick is a minimalistic marvel. Visible cables? Nope. Because all that clutter has been tidied up and put away – inside your Brick. With universal plinth for soundbars from Sonos, Samsung, Bose, etc. Many items of furniture have a plinth. But only Spectral Brick has an integrated fully active 2.1 virtual surround home cinema system of the very highest quality. Brick’s pioneering plinths are ideal for Spectral SCA3 and BRA2 sound systems, as well as for soundbars from many leading brands. The speakers are fully concealed behind black fabric fronts. Brick is also available with a standard plinth – but without sound integration. Spectral Smart Lights create gentle, atmospheric background illumination. Simply place your hand on top of the lowboard to activate. In an age of streaming and e-books, there is a growing desire for a return to a more physical experience. Download the Brick product portfolio in pdf format.